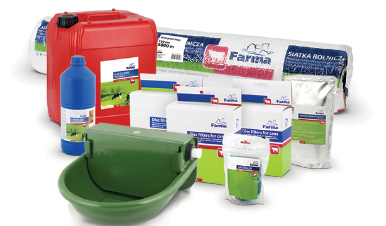 With Farma, we offer a wide range of livestock and animal supplies for cows, horses, sheep, goats and chickens. Examples include electric fencing, drinking bowls, milk filters, wash aprons, infrared lamps, cleaning products and disinfectants, pest control products and much more. Products from Farma offer outstanding value for money, so they are good for your animals at a reasonable price. Fly paper strips, 4 pcs.